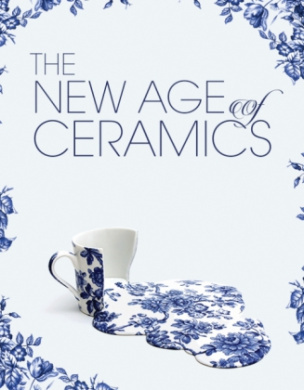 While most surveys of contemporary art focus largely on two-dimensional work, there is a growing movement of emerging as well as established artists that are producing work in the ceramic medium, creating three- dimensional work that is groundbreaking in scope. Working in clay or porcelain and utilizing traditional methods such as wheel throwing or hand building, artists use their talents - often honed in other media - to create unique work that is truly one of a kind. Whether a sculptural piece, traditional vessel or a large-scale installation, they are constrained only by their imaginations and the nature of the material. Contains process shots of the artists at work as well as a voyeurs glimpse into their studios. Artists featured include Case Studyo in collaboration with Parra, Steve Harrington, Mike Perry, Todd James, Cleon Peterson, Horfee, Cody Hudson and Friends With You, as well as Heath Ceramics, Peter Shire, Katsuyo Aoki, Kate MacDowell, Mark Whalen, Claire Partington, Lauren Shapiro, gritCERAMI CS, Livia Marin, Steven Young Lee, Jess Riva Cooper, Kouzo Takeuchi, THEONE Ceramics, Beth Cavener and Lindsay Scypta.